This is that time of year when we start thinking about New Year’s resolutions and how we’re going to achieve them. While there are all kinds of articles out there that will help you set those New Year’s goals, and certainly it’s important to know how to set goals effectively, research by the University of Scranton suggests that only 8 percent of those who set New Years resolutions actually achieve them. Apparently, the will to succeed and strive for self-improvement isn’t always enough. So, how do you keep your New Year’s goals from becoming part of that other 92%? The answer is to set up an external system of accountability for yourself rather than relying simply on internal motivation. Here are the four key components of a successful accountability system. One of the first and most important things to consider when setting a goal is to ask yourself why you want to achieve this goal. What’s motivating you? Is it realistic? It’s always important to start with a realistic goal and own it. Whether you’re shooting to be competitive in your sport or just wanting to maintain a certain level of fitness, make sure you’ve thought about what you value about those goals. Knowing the “why” behind achieving your goal means that you will always be able to remember your motivation in times of struggle. In addition, know what achieving your goal looks like to you. This gives you a place to arrive at. Achieving goals can be difficult as they often involve sacrifice and some level of discomfort. Keeping our motivation and our destination in the forefront of our minds will help us keep our eye on the “big prize” and stay in touch with what we’re sacrificing for. Once we have our goals, we can bring them into the physical world. Write down your goals and put them in a place where you will see them every day. Create some visual cues and reminders to keep you in tune with the motivation behind your goals. One athlete I worked with found it very useful to put a motivational quote on their phone wallpaper that reminded them every day of why they were chasing their goal. With his goal in his sights and a constant reminder of what was motivating him, he not only reached his goal but ended up surpassing it. Much like taking a major road trip, if we throw out the map and any navigational tools that help us get to our destination halfway through the trip, chances are we may not ever find our destination. Keep your reminders or tools close at hand every day to keep you on the right path. Another great way to ensure you reach your goals is getting involved with a team or a training buddy. Having a buddy or a team makes you accountable to showing up, and half the battle is just being present when it counts. Do you ever notice that in a race scenario, you find yourself pushing yourself harder than you thought you could? Oftentimes we find we can push ourselves beyond what we thought our capabilities were when we jump in with a group or even just a buddy who is stronger than ourselves. There’s also a lot to be said for having a few friends or teammates that share your same passion, and having a consistent training buddy will keep you moving closer and closer to your ultimate goal. While being accountable to others is a strong tool, it still doesn’t trump personal accountability. Yet even with personal accountability you can set up an external system that will hold you accountable by committing to intermediate goals or events. Say your goal is to compete at Nationals–put some events on the calendar leading up to Nationals. 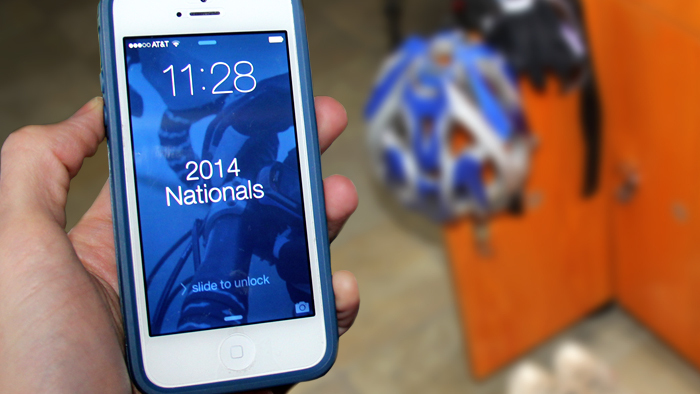 Try to pick events that simulate some of the challenges you expect to face at Nationals. Once you figure out which intermediary events you want to participate in, you have effectively taken your big goal and broken it down into smaller goals. By focusing on improving fitness and technique from event to event, you can track your progress over time and adjust your training between events accordingly. Those intermediate events will break down your training into smaller blocks that can be tested at each “checkpoint”. Otherwise, with your peak event so far out, it can be easy to lose site of the importance of your training now in relation to your goal down the road. Ultimately the drive to pursue and achieve a goal comes from within–it may be driven by a multitude of factors from just wanting to maintain good health to wanting to perform at an elite level. Whatever your intrinsic reason, put together a good system that keeps you on track and accountable towards reaching your goals. Use the multitude of great tools that are available, and remember that it starts and ends with you.